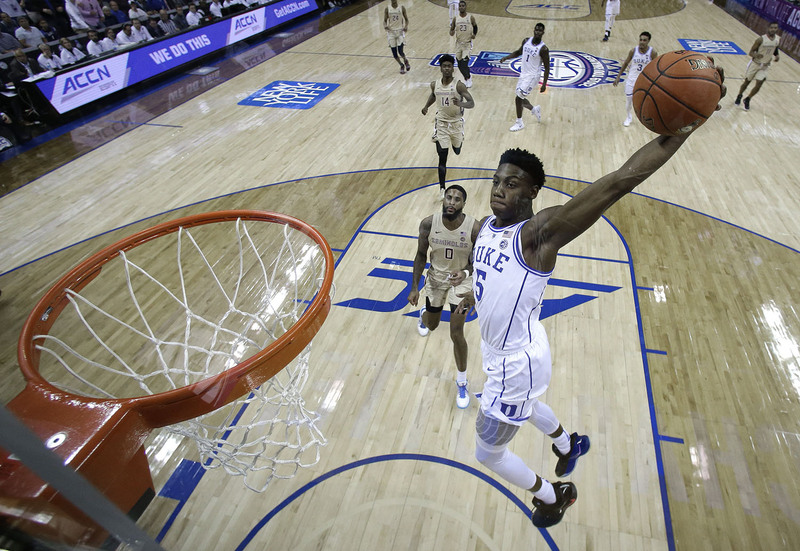 DURHAM, N.C. (WTVD) -- The first of what we expect to be a few Duke freshman has declared for the NBA Draft. RJ Barrett announced on Wednesday he will enter into the 2019 NBA Draft. "I want to thank God, my family, my coaches and everyone that has helped me reach this decision," Barrett said in a Twitter post on Wednesday. Barrett started in all 38 games, averaging 7.6 rebounds, 4.3 assists and 22.6 points per game. The first-team All-ACC selection was also named a consensus first-team All-American and the USA Today National Player of the Year. Tre Jones will return to Duke for his sophomore season. No word yet on Zion Williamson or Cam Reddish.